Let me tell you a story about longevity. Now stay focused, this is important. I’ve know about Vaishaly Patel super facialist for years… hell, I have even visited her fabulous space on Paddington Street London on couple of occasions back in the early 2000’s when I was heading up shows for London Fashion Week and yet despite a reputation even then as one of ‘The Facialists’ I’d never experienced one of her facials. I know I know… what was I thinking? In fact, as well as her fame for facials, Vaishaly was also famous for her work with eyebrows and is one of the original eyebrow queens. So here we are in 2017 and as serendipity would have it, I’ve finally managed to experience first hand why that legendary status is so well deserved. I always say that a good treatment is not just about the treatment itself but also about the experience. 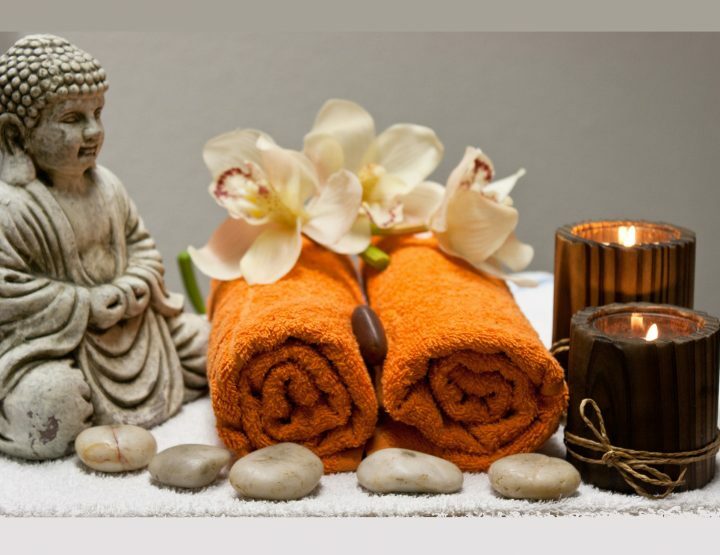 It all begins as soon as you step through the door at number 51 Paddington Street it’s a bit like stepping into a little oasis of Zen… all calm and relaxed, making you feel quietly confident that your skin will be in safe hands. When Vaishaly invites you into her treatment room, this feeling intensifies. It has to do with the relaxed confidence of the lady herself… the warmth of the welcome… and as you talk, it’s the knowing gaze of someone who is at the top of her game. For me a good facialist is happy to tell you what products are being used: and a great facialist will tell you why they are being used and what they will do for your skin. Vaishaly does all of this but what makes her a super facialist for me is the fact that she doesn’t try to dazzle you with all of the latest bells and whistles, your facial will deliver what your skin needs. And you’ll get an education in the process. Let me start by saying that this facial manages to be a seamless blend of Zen bliss and technology… here’s how. It started with a cleanse and then it was extraction time; now although I know that extractions are good for my skin to remove impurities, blackheads and the like… I’m always slightly wary as the process can be painful and has in the past left me bruised. In this facial Vaishaly used a tool to glide over my skin which facilitated removing the yukky stuff with ease. Next it was time for some gentle microdermabrasion. I was always slightly wary of microdermabrasion because over the years I’d seen too many faces that had over indulged in it and had skin that looked like shiny leather. However, in recent years I have realised that it can be a real skin booster for all skin types when handled effectively. Vaishaly used it to remove dead skin, which she says “will allow new skin to regenerate and allowing products to go into the skin rather than sitting on the surface”. My skin was left smooth. Next, Vaishaly used a high frequency machine which is an ‘old school’ technique to “help dry up any oil in the skin and close the pores so that you do not break out afterwards…” in a nutshell this machine utilises a glass probe that produces ozone gas to to massage the face. Now for the Zen part. I love it when a treatment makes the best use of technology and the best use of Holistic offerings. In this instance it’s Vaishaly’s use of facial massage and Cranial Sacral work that brings the mind, body, spirit balance. This part of the treatment takes things up several notches and begins with the application of Vaishaly’s Night Nourisher for normal/combination skin, which helps to control oil production and pores and hydrate the surface, reducing any redness and sensitivity in the skin. It also helps her hands to glide over my face for the massage… regular readers will know that I LOVE facial massage and its benefits. In Vaishalys words “The massage is firm but gentle working through the belly of every muscle. This helps to relieve tension in the face, relaxing facial muscles, aid circulation and blood to the surface of the skin. Reducing puffiness, making the jaw line and cheek bones more visible, skin is plumper and glowing. Massaging the neck helps to release tension which will have a direct effect on the appearance of the face”. Next a mask is applied, I can’t tell you what it felt like or even how it was scented because I was in my “I don’t know how to tell you this but I’m not getting off of this bed anytime today space”. The Cranial Sacral work has been a part of Vaishalys practice for several years she says “It mentally switches you off and re-balances both the mind and body at the same time. Switching the mind off has a direct effect on the face as this is where all skin problems start from.” Ultimately, I was left feeling rather chilled and relaxed and floaty due to the profoundly therapeutic effects of the Cranial Sacral work. Will I be back for more? Yes. I sincerely wish that more women would invest in a good facial as it really does boost not only the appearance, but the behaviour of your skin, making the products that you use more effective. The Vaishaly Signature Facial starts at £120 with one of her Senior Therapists or £250 with the woman herself.